MPI Foundation hosted the official opening reception to IncentiveWorks 2016 on Monday, August 15th, 2016. 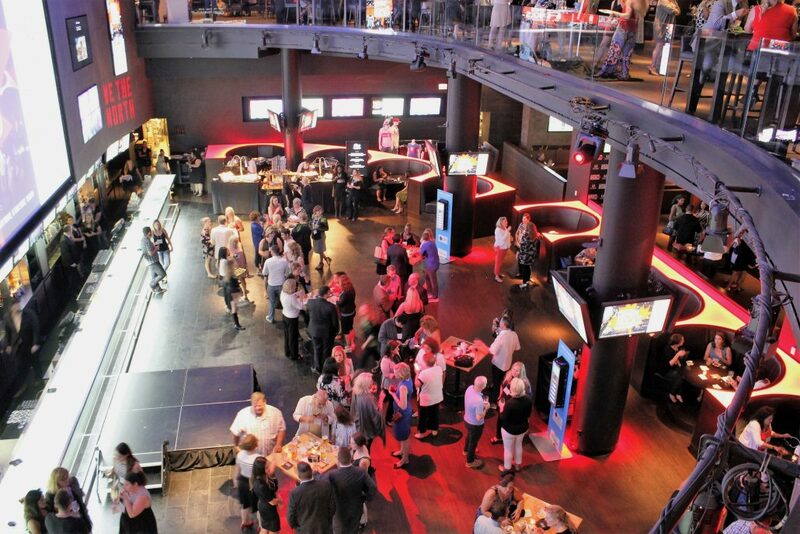 The “Canada Rocks” event was held at Real Sports Bar & Grill, the #1 sports bar in North America as rated by ESPN. Over 800 Meeting and Event professionals reconnected and made new business connections at the event. Incentive Works is Canada’s largest and longest running conference and trade show, serving the meetings, incentive travel and special events industry for the past 25 years. The annual online auction at the event was powered by Vernon with Laptops, iPads and IdeaLAB Interactive Touchscreen Kiosk placed strategically across the incredible 25,000 Sq Ft. venue. Many delegates enthusiastically bid on Vernon’s Technology products and proceeds from the auction benefitted MPI Foundation to fund educational grants and scholarships in Canada. 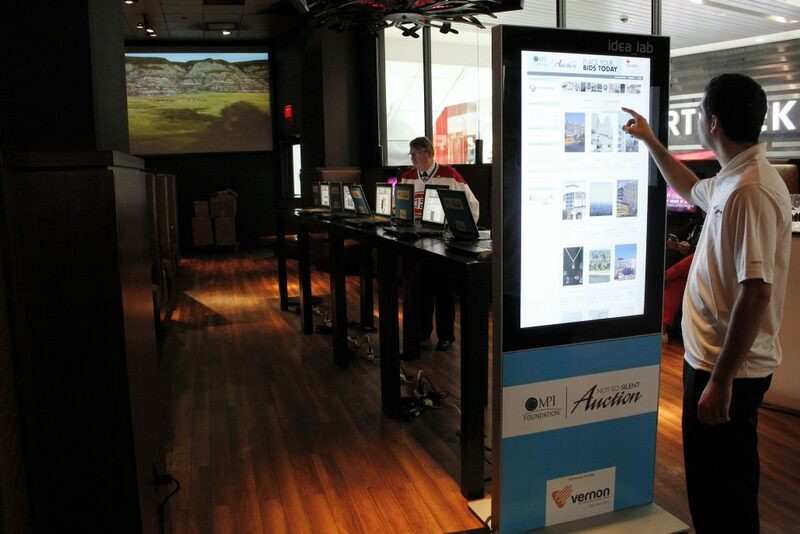 The MPI Foundation’s “Not-so-Silent Auction” website was showcased on Vernon’s sleek 46 Inch IdeaLab Touchscreen Kiosk delivering unsurpassed image quality and interactive experience. 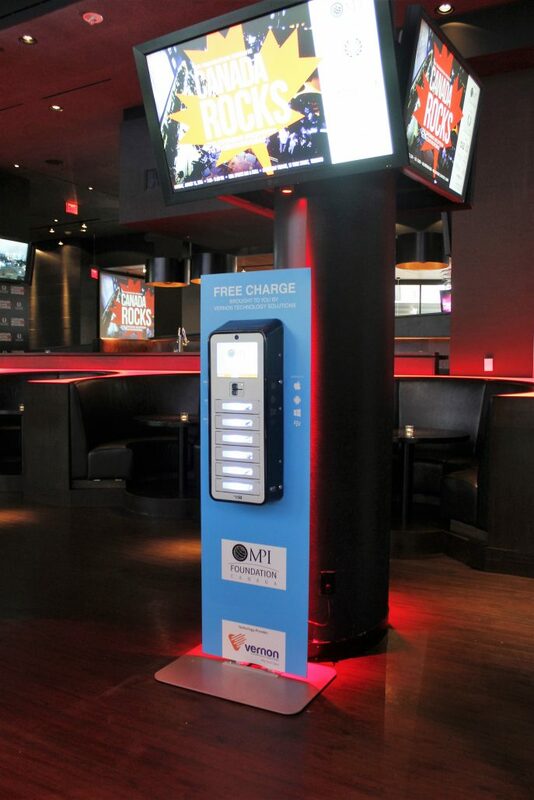 Vernon Technology Solutions with over 30 years of impeccable track record in IT, AV and new technology rentals across North America further enhanced customer experience by placing state-of-the-art secure Mobile Charging Stations from BrightBox. The Brightbox Charging Stations elevated the event with its interactive platform to keep the guests charged and connected.